Hello, this is a very very late post, but better late than never eh? Last month we were lucky enough to attend a performance of The Sleeping Beauty put on by The Scottish Ballet, and I must say the whole evening was completely breathtaking. I personally had never been to ballet, so was very excited to see what it was like, and I was not disappointed, from the music to costumes and of course the sheer talent of the dancers, I was blown away. Claire Robertson (above) played the role of Aurora beautifully, and the rest of the cast were just as wonderful. The story was portrayed with such drama and passion that it really brought the whole place to life. Unfortunately The Sleeping Beauty is no longer showing in the Theatre Royal Glasgow but you can still catch it in Aberdeen, Inverness and Newcastle. I think its safe to say we have definitely caught the ballet bug, and cannot wait for their production of a Tennessee William’s Streetcar Named Desire showing in Glasgow from the 11th-14th April 2012. What have you guys been to see this year? Disclaimer: We were lucky enough to be invited along to this performance for free, but we were in no way influenced to write this post. 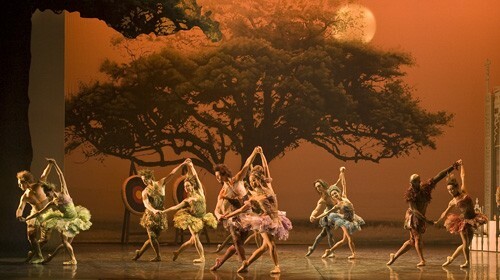 All images used are from the scottish ballet’s website.